Selecting a suitable dog breed can be difficult as there are so many breeds to choose from. Not only do they look different they also behave differently. You may like the appearance of a breed howevever it may be totally unsuitable for your lifestyle. There are many good books available on this subject, however they are only a guide to appearance and general tendencies, for example, many retrievers have no desire to retrieve, many herding dogs have no herding instincts and so on. You can have 6 pups from one litter all with varying character, temperament and disposition. Most breeds are suited to something, the big question is are they suited to you, your family and lifestyle? This is where many go wrong, they choose a totally unsuitable dog for their lifestyle. Obtain professional advice prior to purchase to ensure you choose a breed that fits you best. Ian The Dog Trainer provides this service and can assist you with the selection of a suitable puppy or dog. This may save you thousands of dollars and a lot of headaches over the coming years. Another solution in selecting the right puppy for you is to speak with the team at Banksia Park Puppies. 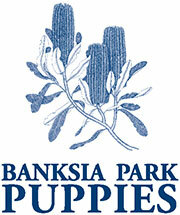 Visit their website - www.banksiaparkpuppies.com.au or give them a call on 03 9842 4577. Highly recommended by Ian The Dog Trainer! contact Ian online to arrange a consultation. You’ve given us our lives back! Your technique is brilliant and it works. I got so confused with everyone’s advice (including my vet’s) on how to fix Bowie’s behavioural problems, our household was going into meltdown, including the poor dog.